High Court has revealed that no cases to nullify the results of the recent presidential election have yet been filed tothe court. Whilst opposition coalition's presidential candidate Ibrahim Mohamed Solih, contesting with incumbent President Abdulla Yameen Abdul Gayoom, won the electoral race, rumours are circulating that ruling Progressive Party of Maldives (PPM) is looking to nullify the results of the presidential election at court. However, PPM has refuted the allegations in a press conference held Wednesday night after the party's council meeting. 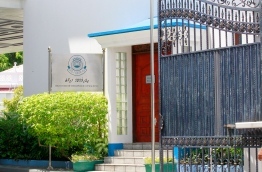 High Court spokesperson Ameen Faisal stated earlier the same night that no such cases have been filed to the court yet. According to Article 10 (d) of the Elections General Act, any complaints over any decision of the Elections Commission, must be filed at the High Court of Maldives for a determination on the matter. The High Court is then required to give a decision regarding the matter within a period of 15 days. The rumors of PPM looking to nullify the results began after messages by PPM parliamentary group leader Ahmed Nihan, on a viber group, requested all parliamentary members of the ruling party to inform any matters of the presidential election to PPM campaign offices. Incumbent President Yameen lost the election to his opponent from the opposition coalition Ibrahim Mohamed Solih by more than 38,000 votes in the presidential elections held on September 23, 2018.